International Refugee Rights Initiative (IRRI) is dedicated to promoting human rights in situations of conflict and displacement, enhancing the protection of vulnerable populations before, during and after conflict. · To ensure overall effective coordination and implementation of a new 9 month IRRI project in Uganda including managing the project’s finances by monitoring monthly spend against budget, and ensuring that all financial records are prepared in accordance with IRRI’s financial procedures. Working in close liaison with implementing partners and other stakeholders to coordinate coherent and consistent delivery of the project objectives. Supporting timely and accurate reporting to funders and IRRI management on the project. · Produce high quality publications, including by preparing, drafting, editing, formatting and distributing materials as relevant. · Support programmatic staff in delivery of IRRI’s programmes including contributing to programmes designs and strategies. · Support the programme team in fundraising activities, including identifying new funding opportunities and participating in proposal writing and budgeting for new projects on behalf of IRRI. · Provide administrative support, as necessary. · Collaborate with IRRI’s programme managers to support IRRI’s overall programme work and to identify areas for cooperation and joint action. · Compile and distribute monthly updates for key internal stakeholders on programme activities. · Review and copy-edit research and other publications as required and support dissemination. · Lead the revision of the IRRI’s Communication Strategy. · Establish and maintain a database of relevant stakeholders for IRRI’s work. · Ensure development of high quality materials in support of programme implementation. · Update IRRI’s website, Facebook, Twitter and other online dissemination platforms. · Assist in identifying and actively seeking media opportunities, preparing and effectively disseminating targeted messages. 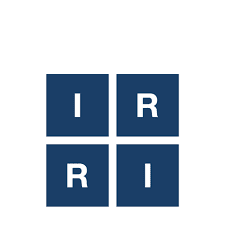 · Maintain and compile all IRRI’s media coverage. · Undertake a daily media review, create an e-digest of IRRI issues. · Support with event organisation where necessary. · Manage IRRI’s interns including delegating some of the work above as appropriate or as directed by the Executive Director. · The applicant must hold a master’s degree (or equivalent experience) in communication, human rights, international relations, social science, or a related field. · Two years of professional experience in programme management, communications and/or research, with an NGO or international organisation. · Broad knowledge and understanding of project management, including setting and managing budgets, ensuring timely delivery of high quality project work and the ability to produce timely and accurate reports. · Proven experience in research and analytical skills. · Interest in refugee issues and wider topic related to human rights and conflict prevention, and commitment towards promoting right-respecting solutions. · Proactive and motivated with the ability to work with minimum supervision and to work under pressure and on own initiative. · Excellent written and oral English language skills. · Willingness to travel regularly to the field and work outside of office hours as necessary. · Knowledge of and demonstrated experience in website and social media management. · Excellent interpersonal and communications skills and a good team player. · Knowledge of an additional regional language. · Experience working with software such as WordPress, In-Design, Photoshop, etc. · Any applications without all four submissions included will not be considered.